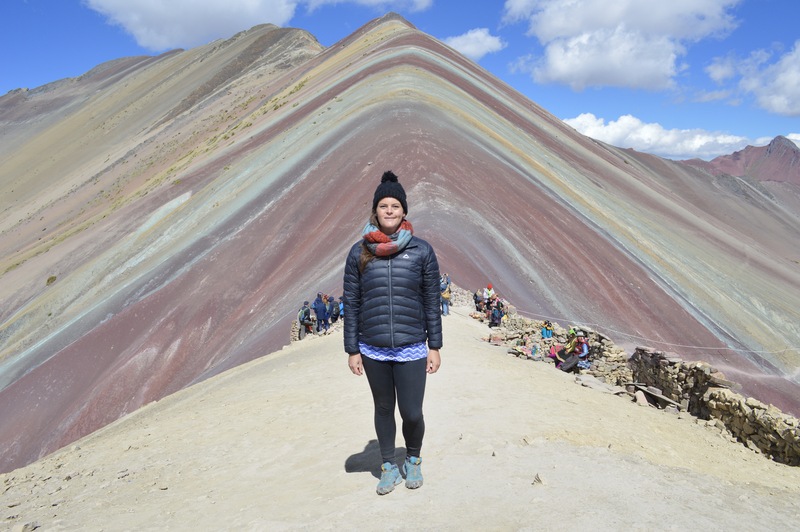 Vinicunca, or more commonly referred to as Rainbow Mountain by tourists, is one of the most spectacular natural wonders I have ever seen! 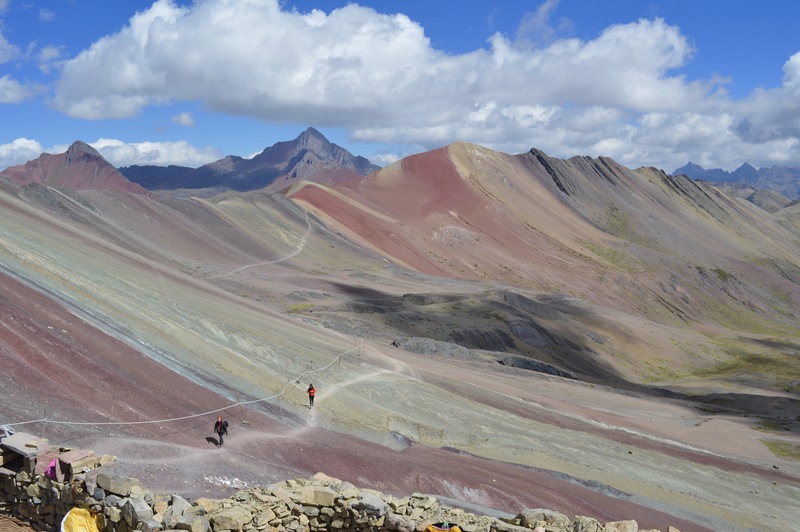 This mountain sits at an altitude of 5,200 m and ranges in color. Before seeing this site with my own eyes, I had always thought people edited the saturation on their photographs- but I was wrong. I could clearly see the different colors in the mountain and it was AMAZING! 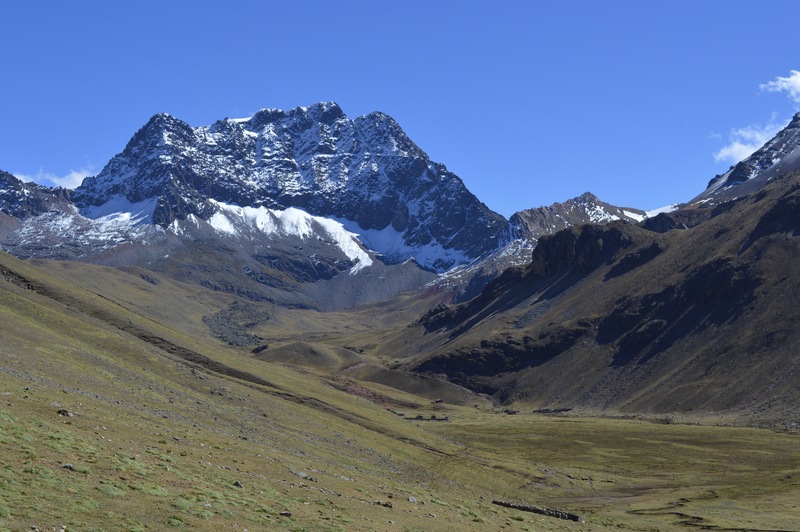 The Vilcanota mountain range is part of the Peruvian Andes. 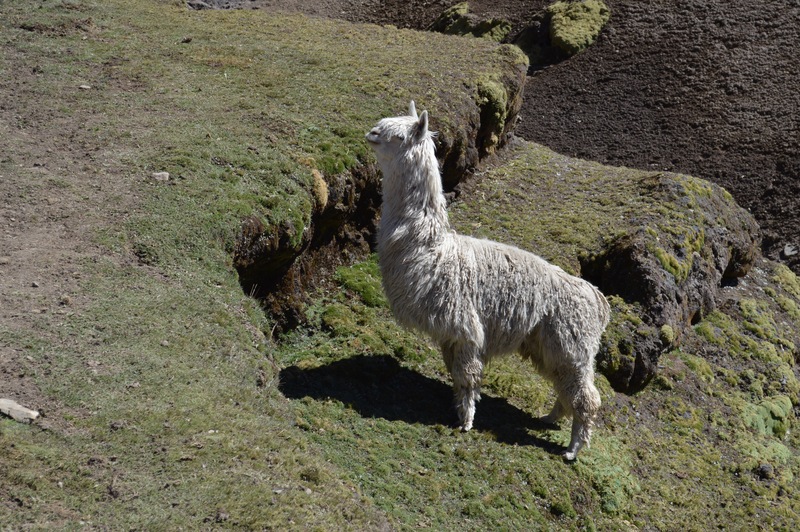 It extends from Cusco to Puno and is home to many mountains as well as over 400 glaciers. One of the more notable glacial mountains is Ausangate. 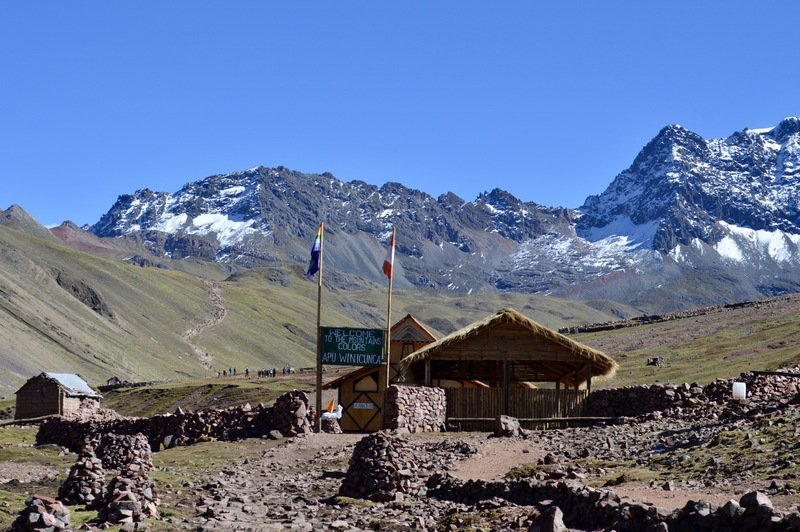 This mountain is significant in Inca mythology and is home to the Quyllurit’i (snow star) festival. Every year, thousands of people travel to this mountain to participate in this festival. 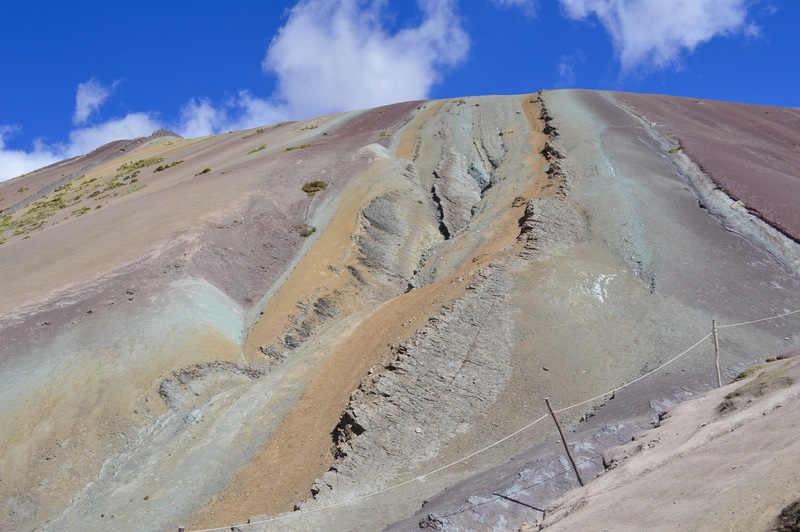 Rainbow Mountain is part of the Ausangate mountain region. Mountains in this region have unique color schemes. For example some of the mountains in this region have a red, tourquoicse or lavender color. The reason for the unique colors in this mountainous region is due to the minerals, high altitude and being far from the ocean. Rainbow Mountain has become famous due to it processing many colors and therefore looking like a rainbow. Rainbow Mountain was only discover as a tourist destination in 2015 due to it being hidden deeply hidden in the mountain rich area. The first guided tour was only in January 2016 and now this mountain is Perus largest tourist attraction, well apart from Machu Piccu of course. 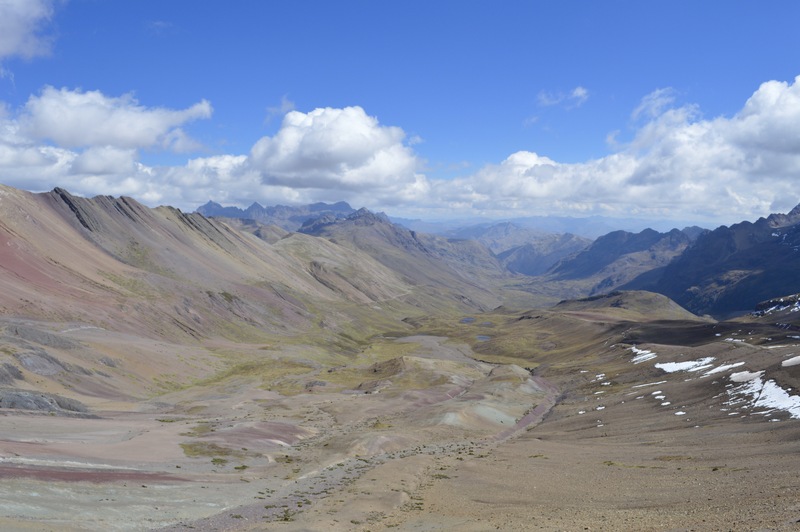 We did a one day tour with Aita Peru to visit this spectacular mountain. Courtney and I were fetched from our hostel at 5 am and joined 14 other people on the bus. We drove for three hours until we stopped for a simple breakfast that consisted of jam, bread and a pancake in the small town, Q’eseunu. After this we drove for another hour. This road was along a cliff and the views from the bus were stunning. I could see a beautiful valley and features on the mountains I had never seen before. I also practiced trying to distinguish between llamas and alpacas on this road. We arrived at the section of the mountain where we would start to hike from. This section had an altitude of 4,200 m. The group was given the opportunity to take horses (for an additional fee) to the top. Out of our group, 10 people chose to take horses. In my head I laughed. Why would you take a horse? It was only a two hour hike to the top! We had spoken to other travelers who had done this hike and they all said that it was hard. But that was an understatement! I always knew hiking in high altitude would be difficult, but I didn’t realize how much of an effect that altitude had on the body. The first 20 minutes of the hike were flat but the rest of the time consisted of a consistent uphill which was more on the steeper side that I had expected. For the next 1 hour and 40 minutes Courtney and I pushed ourselves unlike ever before. We were constantly out of breathe and the locals were consistently offering us the option of a horse (which made it even more difficult as there was always the offer of an easy way out). The altitude made it impossible for me to catch my breathe, but with a lot of perseverance, motivation from our awesome guide and the Korean expression “fighting” we made it to the top! The view was definitely better than I expected. We sat for a few minutes at our view point of 5,100 m before we started to take photos and continue a bit further up the mountain to get a better vantage point. We didn’t make it to the 5,200 m point as the altitude was taking its toll on us. As we started to make our way down the mountain we saw people getting sick from the altitude and many others suffering from bad headaches. The walk down only took us an hour and in this time we could appreciate the beautiful mountains, snow, alpacas and llamas more. The entrance to Rainbow Mountain. The only flat section of the hike lasted for approximately 20 minutes. It was hard to appreciate the views on the way up to the top due to us having to focusing on our breathing. There were so many alpacas next to the hiking path. Our first glimpse of the spectacular colors. Our first view from the top of the hike. When we walked a little bit further up the path, we had this amazing backdrop of the Rainbow Mountain. The view from the mountain of the opposite side to the one we hiked up. One of many horsemen walking down the mountain. Although this was the hardest hike I have ever done, it was worth it! The suffering made the view more rewarding. 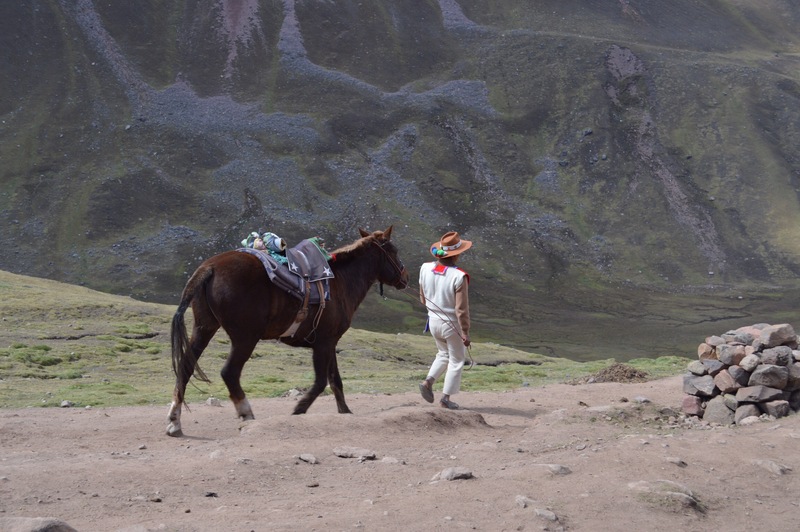 However saying that, I would suggest one consider taking a horse if you have not had time in Cusco to acclimatize to the altitude or if you feel that your fitness is below average. Another tip I would give, is only book this tour when you are in Cusco. The advertised price for this tour online was USD 45, but when we booked in person we only paid USD 25. This was definitely a highlight for me, and now that I know I don’t have to climb that mountain again- I have very fond memories of the experience. 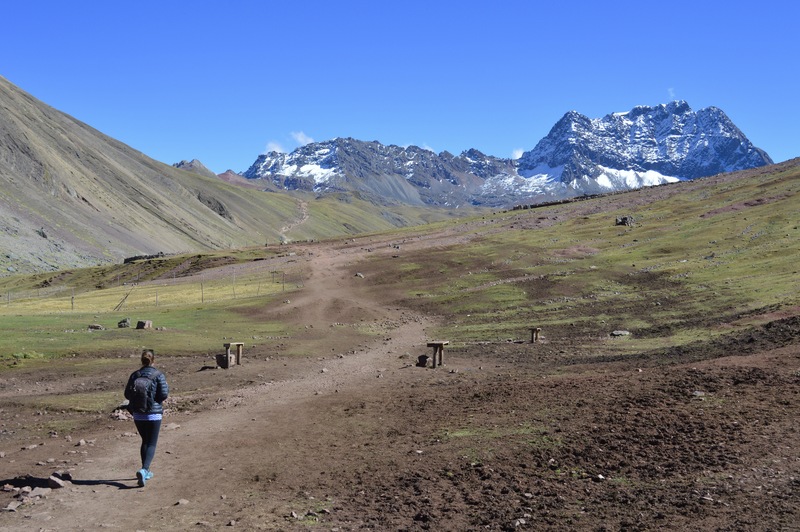 Love this descriptive blog of what must have been a very hard hike – awesome!